Last week I opened up the Satori Facebook wall to reader questions and was pleasantly surprised at how many were posted or sent in. Unfortunately I won’t be able to answer all of the questions today, but I will try my best to address each topic in upcoming blog posts. To kick things off, I’m starting with the first question sent in by Amber. One of the most inexpensive ways to update any space is with paint. Although time consuming, painting out dark wood cabinets in an off-white will do wonders for your space. Adding a color to the walls, such as a soft gray or blue-green will also give your kitchen a fresh and lively look. 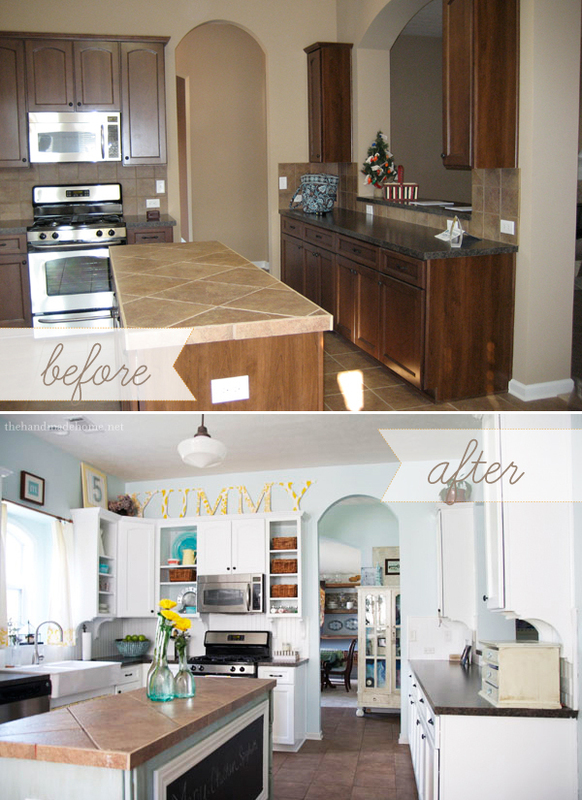 I think this kitchen makeover using paint by The Handmade Home would translate well to your space. Another update I suggest for your kitchen is changing out the fluorescent lights. Lighting not only changes the mood of a room, but can add sparkle and character as well. Consider pendants for over the sink, island or peninsula. Fixtures are available at various price points, and the best part is you can incorporate them in your new kitchen design or move them to other areas of your home. 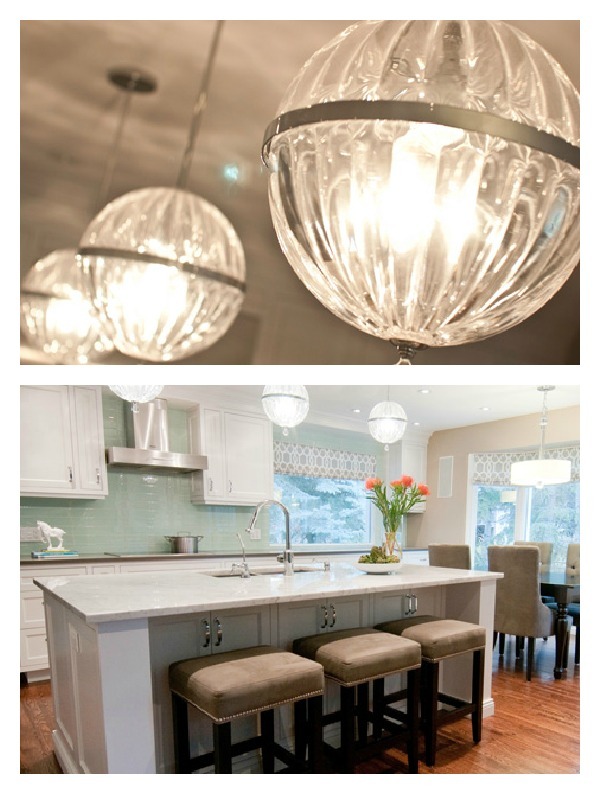 Check out these beautiful glass globe pendant lights used in this kitchen design by Aly Velji. The final bang for your buck suggestion is replacing your existing hardware. Although brass is making its comeback, your hardware is too ornate. Because you’re looking for classic styling with a bit of fun, I would stick with a brushed nickel finish with a simple design. Budget-friendly, yet stylish hardware options are available at big box stores, including these from Martha Stewart’s kitchen collection. Thanks for writing in, Amber. Be sure to send photos of your kitchen updates! Next week I’ll be answering more reader questions. 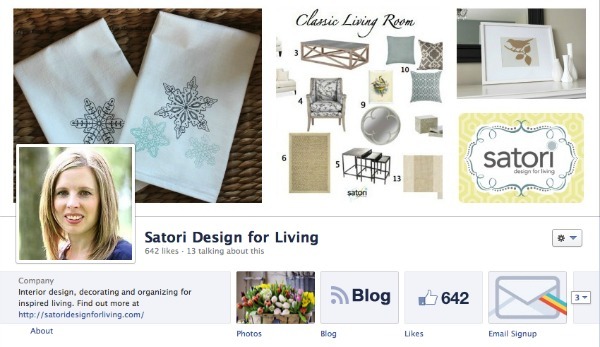 If you have a decor or design question you could really use help with, follow the Satori Facebook Page to find out when the next open call for questions is. Kitchens can either be the biggest source of happiness or the biggest source of frustration in our homes I think. Great advice, especially painting the cabinets. I’ve done the same in the past and was amazed at how it can totally brighten up a dark kitchen. Awesome tips. I’m dying over those amazing glass globe pendants! GORgeous. I saw you pin those light fixtures and repined right away…loving them and going to check out the price….I’m determined to add hardware to our kitchen this year (90 percent sure) and while I have my eye on something at restoration hardware, I never thought of Martha….will have to check that out as well….. Thx for the post! Yes, those pendants are gorgeous, for sure! They’re called Cyan Design Janus Pendants, and they’re around $300 (but I’m sure there are other versions out there at lower price points).